The digital movement has recently disrupted many industries, to the detriment of many incumbents in such industries but to the benefit of consumers and society. Digital disruptions have happened with such speed that it has taken industries completely by surprise, requiring governments to play a part in helping industries adjust to such disruptions. 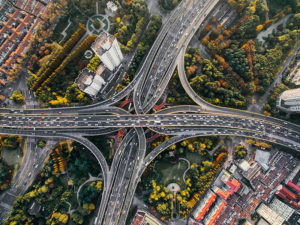 The sharing economy is one of these disruptions, acquiring scale in recent years with high prospects of growth in the future: McKinsey projects the sector’s revenues to reach $335 billion globally by 2025. Airbnb is a company that capitalized the sharing economy to disrupt the travel industry big time, building a business and operating model leveraging digital capabilities. The hotel/lodging industry has experienced disruption in the past; for example, in America the industry moved from only luxury hotels for the wealthy, to mainstream chain hotels once the development of Interstate highway drove more family travel in the country, to the offering of timeshares, and then the birth of boutique hotels. And now it is at the inflection point, with the likes of Airbnb challenging the status quo with their sharing platform. To make this a reality, Airbnb’s operating model hinges on the value of its digital platform. Airbnb owns no real estate, as it relies on hosts to join the platform and list their own property. Airbnb verifies hosts, in addition to providing a rating system for customers to rate their hosts based on their experience. . Moreover, hosts also get a chance to rate customers. Additionally, Airbnb provides a $1 million host protection guarantee to hosts in cases where there might be damage to their homes as a result of renting out their property, and it also provides host protection insurance. The element of trust that this builds is essential in the sharing economy, to ensure that the platform enters into the virtuous cycle of success: more customers lead to more hosts which leads to more revenue, and so on. Airbnb has been unarguably successful, with its valuation at “$30 billion, Airbnb is the fourth-most valuable venture-backed tech company in the world”. With more than 2 million listings in more than 190 countries and more than 60 million guests, Airbnb has become the largest accommodation provider. 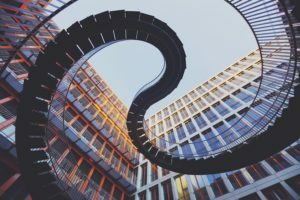 Such growth has resulted in major disruption in the industry, resulting in challenges that Airbnb is facing as it continues on its path to growth, particularly with regards to regulation. Local governments are concerned that a host can list them through Airbnb with commercial intentions, as opposed to additional income stream due to spare rental space, among other things. For example, New York has recently passed a law “that carries fines of up to $7,500 for certain short-term rental listings…against those who offer to rent out their entire living space for less than 30 days.”   To address these challenges, Airbnb should enhance their verification processes in order to vet that individuals who are listing properties are indeed listing just one property, and not doing so out of commercial reasons. Airbnb needs to proactively work with governments to shape regulation as cities adjust to the new model, given that these regulations, especially in key markets like New York, can pose a threat to the company. Moreover, Airbnb should continue expansion to other services, such as it has with enabling people to assist property owners in their neighborhood to host Airbnb stays, as well as be able to host “experiences and tours” such as “sumo wrestling, truffle hunting and off-road biking”; this will help the company to diversify and grow . By Alberto Marchi and Ellora-Julie Parekh. “How the Sharing Economy Can Make Its Case.” McKinsey & Company. N.p., Dec. 2015. Web. 18 Nov. 2016. “Here’s How Airbnb Disrupted the Travel Industry.” AdWeek. N.p., 26 May 2016. Web. 18 Nov. 2016. “THE LEPORE-CHRISTENSEN DEBATE: A REPEATABLE PATTERN FOR PLATFORMS AND DISRUPTIVE INNOVATION.” Pipes to Platforms. N.p., 2015. Web. 18 Nov. 2016. Stephen Ufford. “The Future Of The Sharing Economy Depends On Trust.” Forbes. N.p., 10 Feb. 2015. Web. 18 Nov. 2016. Hockenson, Lauren. “Airbnb Is 20% to 50% Cheaper than a Hotel (unless You’re in Vegas or Houston).” Gigaom. N.p., 18 June 2013. Web. 18 Nov. 2016. Hamish McRae. “Facebook, Airbnb, Uber, and the Unstoppable Rise of the Content Non-generators.” The Independent. Independent Digital News and Media, 5 May 2015. Web. 18 Nov. 2016. Bensinger, Greg. “Airbnb Starts ‘Trips’ Service to Book Experiences and Tours.” WSJ. Wsj.com, 17 Nov. 2016. Web. 18 Nov. 2016. Farrell, Maureen. “Airbnb’s Funding Round Led by Google Capital.” WSJ. Wsj.com, 22 Sept. 2016. Web. 18 Nov. 2016. “Small-time Airbnb Hosts Say NY Law Unfairly Targets Them.” WSJ. Associate Press, 30 Oct. 2016. Web. 18 Nov. 2016. Bensinger, Greg. “Airbnb CEO Says Company Is Working on Compromise With New York City.” WSJ. Wsj.com, 17 Nov. 2016. Web. 18 Nov. 2016. Rik Kirkland. “The Future of Airbnb in Cities.” McKinsey & Company. N.p., Nov. 2014. Web. 18 Nov. 2016. “Airbnb Business Model – Business Model Toolbox.” Business Model Toolbox. N.p., n.d. Web. 18 Nov. 2016. 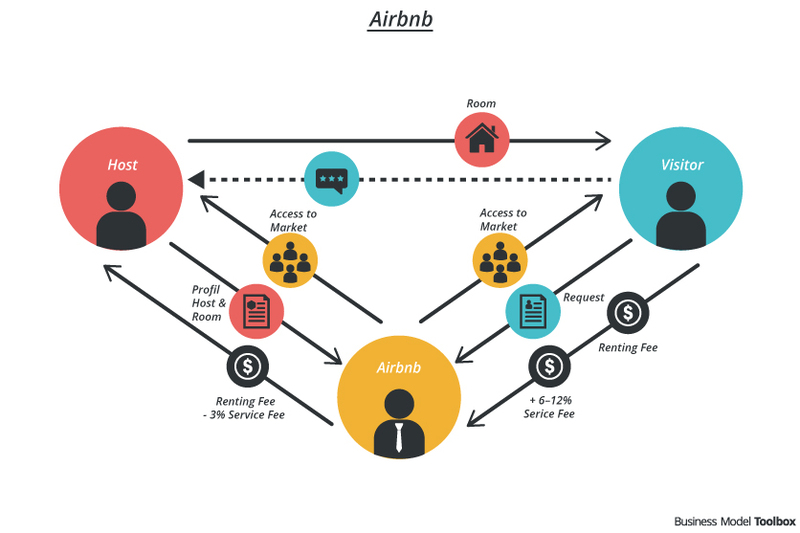 “How Airbnb Works | Insights into Business & Revenue Model.” Juggernaut. N.p., 7 July 2015. Web. 18 Nov. 2016. While I personally love Airbnb, I am unsure of how much leverage they have over governments to ensure future policies fall in their favor. Many cities are trying to push Airbnb out. For example, the city of Anaheim, California has as a community banned the operation of short-term rentals . In Anaheim, per the Orange County Register, residents say, “that the steady stream of vacationers in their neighborhoods ruined their quality of life” . The 363 registered short-term rentals in the city have 18 months till their operations must reach conclusion. How does Airbnb overcome such hurdles if this trend were to continue? Joseph Pimentel, “All short-term rentals banned in Anaheim by City Council,” OC Register, June 29, 2016, http://www.ocregister.com/articles/city-721046-term-short.html ,accessed November 2016. For me, there is an interesting contrast between the impact of regulation on Airbnb and on Uber. While both have generally moved faster than the regulations (“easier to ask forgiveness than permission” applies here), I think Uber has much more leverage in disagreements with the regulators than Airbnb does. The vast majority of a politician’s constituents would support Uber (or at least have no opinion on it), with the only real pushback coming from taxi drivers. For Airbnb, on the other hand, there are many people who object to Airbnbs in their neighborhood due to the disruption to residential neighborhoods and the potential impact on rents. As a result, I think Airbnb will have a much harder time politically defending their business model in general. Interestingly, this becomes more of a problem as the company scales (more community pushback), so I do wonder if there is any way for the business to be sustainable in the long-run. As a customer, I have had good and bad experiences using Airbnb, but continue to look at it when travelling abroad. However, I have witnessed the impact that Airbnb has had on the housing market in my home city, and I am worried about its future consequences. With the number of tourists visiting Lisbon growing significantly in recent years, many property owners are using Airbnb to make some additional revenue. One of the consequences of this shift has been the decline of the number of properties available for long-term rental, especially in the city center. With lower availability, rent prices have risen significantly, making it virtually impossible for the average Portuguese to rent an apartment in the city center. This is changing the city’s landscape, and I wonder what the role of local authorities should be in this case. Thanks for writing this – definitely an interesting read! I agree with the others who have commented above – I have had a great experience with Airbnb as a user, but I would feel differently about it if it became a large presence in a neighborhood I lived in, and governments may take action to limit its usage. It’d also be interesting to hear more about other competitors in the accommodations market that are also able to offer lower rates than average by leveraging a digital platform. From other members of the sharing economy like CouchSurfing and HomeAway to businesses like HotelTonight that offer last-minute deals on hotels with vacancies, it’d be interesting to hear how Airbnb is positioned relative to its competitors and how those dynamics are shifting. I’d imagine that the barriers to entry are relatively low as digitalization continues, but Airbnb’s network should give it some advantages from a scale perspective. Interesting article and I love the comments above. I do think that as was discussed, Airbnb will face much tougher challenges perhaps than Uber for two reasons 1) the hospitality industry is an even bigger industry than the taxi industry and I think the lobby pressures are only going to rise and 2) there are more drawbacks and negatives that go beyond just the hospitality industry- as many consumers do not want apartments around them to be rented to strangers on a short term basis as it poses significant safety concerns. While, I think it’s crucial for Airbnb to continue to work with the governments on changing policies, I think it’s also important for the company to diversify themselves and hedge against the risk of potentially being banned in cities. Is it owning its own properties? Is it being a broker for commercial properties (like a hotels.com)? Is it becoming a one-stop trip planning platform? I think more needs to be explored. An interesting read, Ramiro. Many thanks. I find it fascinating that the largest companies in the hospitality space own no real estate (i.e. AirBnB), in the transport space own no automobiles (i.e. Uber), and in the media space create no content (i.e. Facebook), all of which speak to the opportunity around and impact of the sharing economy. You bring up the issue of users commercializing AirBnB. While I understand the concerns around safety given the number of different AirBnB customers using a particular property, I’m not entirely convinced that there should be any regulation barring property owners from dedicating multiple properties to AirBnB. Perhaps if AirBnB were to increase the stringency of its background checks, this might become a viable business model in and of itself. Interesting take on a company that is blazing the trail in this brave new world: the sharing economy. From a consumer perspective, Airbnb has been a resounding success to date: convenient, easy and good value. I do worry, though, about the wider implications for the hospitality industry as a whole. Airbnb’s incredible ability to scale (due to their next to zero marginal cost per room added to the site) is something hotels simply cannot compete with. Whilst the obvious reaction to this is: “as long as the experience for the end-consumer is better with Airbnb, why does it matter if they replace hotels over time?”, this could have huge implications for many economies that are overly-reliant on, for instance, tourism. Airbnb – like other players in the sharing economy – cuts out many part of the value chain, which could leave countless jobs under threat from extinction. The knock-on impact on GDP of this could hit certain economies hard. Good point Jack. But I wonder, if the progress might not outweigh the temporary drawbacks of this disruptive technology? I think you are spot on about significant upheaval due to the pressure on the people that exist in the middle, but I would counter by pointing out that many more people will capture value through renting their homes/apartments or by saving money. I would imagine that the subsequent economic benefits would be incredible. It also triggers an interesting debate about the roll that AirBnb plays vs. hotels. I simply can’t see them grabbing the business professional market (e.g. consulting, conferences etc. ), so it will be very interesting to see where they carve out a stake for themselves especially as globalization continues at a frenzied pace. Interesting read. Airbnb has certainly been disruptive and I can see why people are concerned about the long-term sustainability of this business model. Many neighbors worry about security when they see random people come in and out of the next door apartment. I too would be worried. As building owners and community norm makers became more savy, new leases and purchase contracts will likely prohibit the use of services like Airbnb. For this reason, I agree that Airbnb should look to diversity its investment portfolio. Though they currently don’t own properties, they may need to consider doing so if government policies continue to threaten their existing business model. Perhaps they can begin to partners with exisitng hotels to make the checkin/out process more efficient? Regardless, if Airbnb does not diversify moving forward, they may find themselves loosing market share. Thank you for such an interesting article. You raised a very interesting point about how local governments are concerned that a host will use Airbnb for commercial purposes. This is indeed very prevalent in developing countries where many foreign investors invest in condominiums, leave them vacant, and put them on Airbnb. It would be interesting to see how Airbnb will adjust its strategy to overcome this regulation hurdle. Recently, to make housing more affordable, the city of Vancouver has imposed a new tax up to $7,450 annually on empty homes up. This new tax will take effect on January 1st. It would be interesting to see how this new tax will affect Airbnb business in Vancouver, Canada’s most expensive real estate market. I love airbnb. As a traveler, I much rather stay in an airbnb than a hotel. However, in many airbnbs that I have stayed in, my hosts tell me to tell their neighbors that I am a visiting friend. This raises security concerns for me. How is airbnb ensuring security of travelers and more importantly – hosts or their neighbors. Simply a phone verification or photo ID verification may not be enough. Yes – people write reviews, but what about BEFORE that process? How do you make sure that someone who has approached you digitally is actually who they say they are.. and if they are safe to bring to your home? Airbnb is definitely one of the companies that grow with the trend of digitalization. Compared with traditional travel services, Airbnb creates value both for house owners and travelers and particularly attracts young and digital-savvy users. However, as you pointed out, safety is definitely one of the biggest concerns. The fact that there’s no comprehensive vetting mechanism leads to some tragedies, and the lack of regulations also leads to debate around liability. (NY Times: Death in Airbnb Rental Raises Liability Questions, http://www.nytimes.com/2015/11/14/your-money/death-in-airbnb-rental-raises-liability-questions.html?_r=0). Can Airbnb better capitalize on its digital assets and create a better vetting mechanism? Perhaps it is also possible for Airbnb to work with government officials to regulate the market of share-economy. It’s definitely an interesting business but more work needs to be done to ensure its sustainability and safety. AirBnB, and its wide-ranging impacts on real estate markets, tourist-dependent economies, and local tax schemes noted above, certainly heralds the dominance of the sharing economy. Did any of you AirBnB customers receive the recent e-mail disclosing the company’s new anti-discrimination policies? HBS professor Benjamin Edelman has done considerable research regarding the discrimination that’s been pervasively perpetrated by hosts who have preferentially opted for guests whose pictures and/or names suggest certain racial and geographic backgrounds (see more here: http://www.benedelman.org/publications/airbnb-guest-discrimination-2016-09-16.pdf). The company has responded with a set of policies and a commitment to systematically tracking rejection patterns with consequences for hosts, but I wonder whether such an algorithm can meaningfully change these harmful practices. It strikes me as ironic (and maddening!) that participants in a so-called sharing economy would join only to perpetuate exclusivity. Can AirBnB, whose model is founded upon the joy of meeting people different than you all over the world, use technology to help us all embrace a more diverse future?